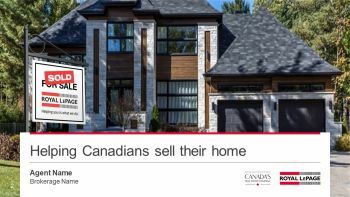 Royal LePage’s new Listings Presentation is now available. Designed to help you communicate the value of your services to your clients, this updated PowerPoint presentation is fully customizable. Allows you to deliver a message with greater impact. Visual images significantly increase the impact of a sales presentation. Please take the opportunity to download and use the new customizable listing presentation.